Yeomans is a car dealer group based in southern England who has been selling new and used vehicles for over 30 years. At Yeomans dealerships customers can browse models by renowned brands such as Nissan and Citroen alongside used cars from a variety of other marques. Drivers can book their car in for a service or MOT, too. A number of vans and commercial vehicles are also on sale. On top of this, Yeomans participates in the Motability scheme, helping disabled drivers to find a car which meets their needs. Finance options are on offer for customers looking to break down the cost of a new vehicle. The company was first incorporated under the name Wingdart Ltd in 1985. Two name changes later, Yeomans is now one of the longest-serving Nissan dealer groups in the country. In recent years, Yeomans has won several awards, such as the accolade of being one of Honda’s UK Dealers of the Year in 2015. Today the business has over 15 locations across Devon, Hampshire, West Sussex, Surrey and East Sussex, remaining a key dealer group for customers in the south of England. 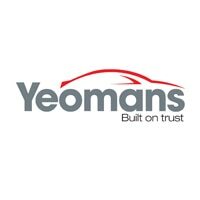 Yeomans specialises in the sale of new cars from several marques, namely Abarth, DS, Honda, Nissan, Toyota, Citroen, Fiat, Hyundai and Peugeot. As well as this, the company stocks a selection of used cars from other manufacturers such as Honda, Land Rover, Vauxhall and Volvo. If you’re looking for a van, Yeomans offers a range of commercial vehicles from the likes of Citroen, Peugeot, Toyota and Nissan. Take your pick from popular models like the Nissan NP300 Navara, the Citroen Nemo and the Peugeot Boxer, amongst other models.